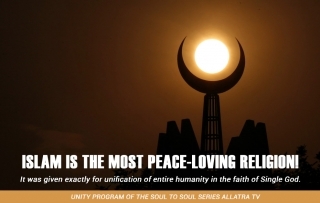 Islam is the most peace-loving religion! The Knowledge has been given to humanity more than once so that people would exactly know the meaning of their existence in this world, live in internal connection with the world of the Almighty, and after the pious earthly life and the body death would deserve to return to their genuine home – to the Creator’s bosom! 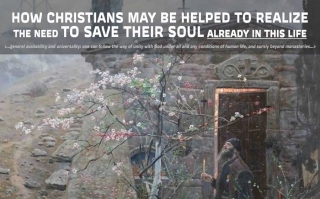 However, after the arrival of every Prophet, the forces of evil, being unable to totally destroy or terminate human spiritual evolution, endeavoured to take the lead of spiritual movement right after the Prophets’ departure and establish religion on the basis of spiritual grains left by the Prophets. Put simply, the wolf put sheep's clothing on and skilfully redirected the inner human need of living with God towards serving Iblis. Islamic branches: what prevents them from uniting? 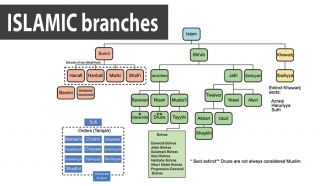 Following the overview of Christian denominations, now let’s look at denominations in Islam. It would be appropriate to entitle this article On the Importance of Unity between Muslims, since our considerations on the root of division in the Muslim world are for the only purpose of reminding all people obedient to Allah’s Will of the vital necessity of Unity and Reconciliation! The present-day challenges faced by the entire humanity urgently require rallying of the whole Muslim world. The recent tragic events in France are just another evidence of such need. If the Islamic world does not unite in the nearest future, certain forces that use the name of Islam for their own inhuman purposes will be able to ensure ruin of the Muslim world. How this may happen? Gratitude… It’s the only word that may be said when you start feeling Him… He is not false, He is gentle. He is everlasting and will never abandon you. He is everything. But it’s impossible to grasp this. One can only know this. There are neither enemies nor teachers nor friends. There is nothing that seems so firm and stable. But there is Him – the endless, boundless ocean of Love, and only He alone can exist forever. “Master, be inseparable with your product, and if you say a word turn into this word yourself”, how accurate these words are! He simply exists. It is such a joy, such a boundlessness to abide in Him! There are neither doubt nor separation. He is living. There is no Universe, but only Him. Only He is Life which is eternal. There are no stages, no ways. Everything’s fleeting. Freedom. It is here, and it’s greater than human mind can imagine. He is the only Love of everyone. A song that is sung inside. More than happiness. Light. Once upon a time, in the age which is nowadays called “the Age of Iron and Blood” or “the Era of Great Sorrow”, our planet was on the verge of total destruction. People who inhabited Earth at that time were mostly illiterate, cruel, greedy and carefree. Their unrestrained passion for hoarding and grabbing forced the Earth inhabitants to extort planet’s resources ungodly and outrageously. Violence against the Earth became so widespread and general that the Earth fell seriously ill. Its disease was so deep that it turned out to be incurable. 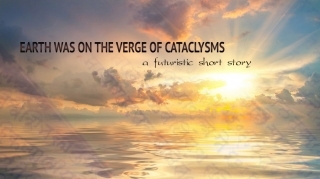 Wounds and sores were all over the Earth’s body, its blood was pouring forth; it was totally fevering and shaking. Mountains were trembling and oceans were raging, and all those were symptoms of a fatal disease. However, that was not all. People turned so intolerant and hostile towards each other that they waged permanent wars which aggravated the Earth’s sufferings beyond any measure. Being ruled by brutal and covetous leaders, befuddled and fooled by insidious and avid priests, people killed each other in senseless wars with unbelievable cruelty and spite, as if wild animals. 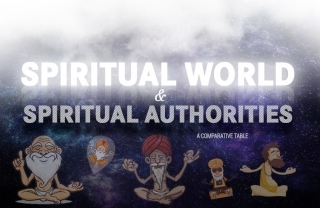 Spiritual World and spiritual authorities: what is the difference?